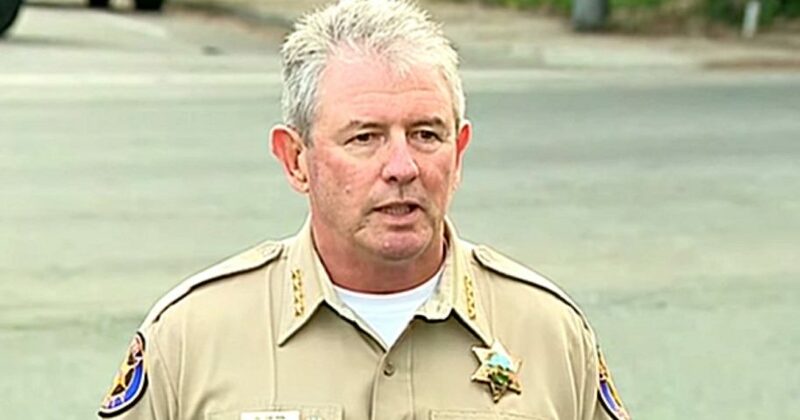 Ventura County Sheriff Geoff Dean shared an account of the heroic actions of six off-duty police officers at the bar shooting in Thousand Oaks, California on Wednesday night, saying they used their own bodies to protect at least one of the young women on hand. Ian David Long, a 28-year-old former Marine, allegedly opened fire at the Borderline Bar & Grill killing 11 patrons, as well as a Ventura County sheriff who responded within minutes to the scene. Long is believed to have taken his own life as law enforcement moved in. Dean told reporters on Thursday morning that there were at least six off-duty police officers who were in the Southern California night spot, just north of Los Angeles. The sheriff said the officers were from multiple agencies and were unarmed at the time of the attack..
“I already talked to a parent who said, ‘They stood in front of my daughter,’ so it was amazing,” recounted Dean. He and Sgt. Julie Novak with the Ventura County Sheriff’s Department became emotional when talking about their colleague Sgt. Ron Helus, a 29-year veteran of the force, who was shot leading a group of three officers into the bar as gunfire rang out inside. “He was totally committed. He gave his all, and tonight, as I told his wife, he died a hero because he went in to save lives,” Dean said. “He loved protecting people, and he did exactly that tonight by running into this building to save peoples’ lives where there were gunshots. He’s just nothing but a hero right now,” she added. California Gov. Jerry Brown recognized the heroism of Helus and the others in law enforcement in responding to the shooting. “Our hearts ache today for the victims of this heinous act and our deepest condolences are with the Thousand Oaks community and those who lost friends and loved ones,” he said in a statement. “We are grateful for law enforcement and others, including Ventura County Sheriff Sgt. Ron Helus, who took heroic action to save lives tonight,” Brown added. Vice President Mike Pence tweeted condolences to those impacted by the shooting, and also commended the first responders who were at the scene.